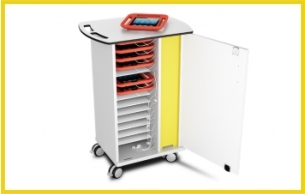 Classrooms, breakout areas and anywhere you need to charge, sync and store iPads in Evecases or other large iPad frames. 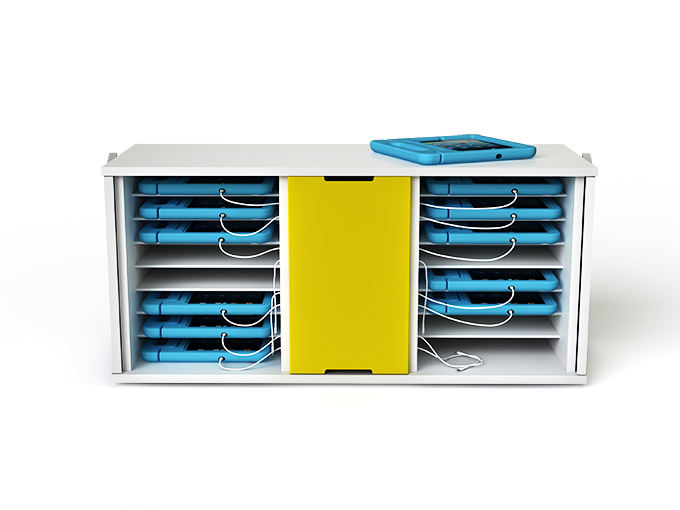 A compact, robust, simple to use sync & charge cabinet designed specifically for upto 16 iPad in large cases such as the Evecase for kids and other large bumper style frames. 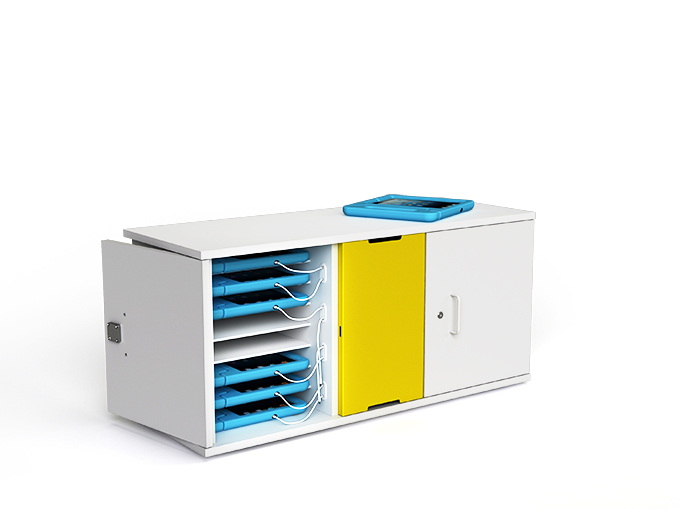 Dedicated cable management and storage, with only a short length of power cable presented to each device shelf – so no cable mess, no USB ports to get broken and no cables going missing! Also available in a charge only version with separate storage for AC adapters. Two independently lockable doors each providing 8 device shelves, separated by a secured but front accessible electrical compartment. All cabinets / stations have the choice of digital code, RFID or key locks. Lockable doors fold back 270 degrees & are retained for easy access. Smooth, easy to clean surfaces. Fixing points included for securing the charging cabinet to a wall or surface.